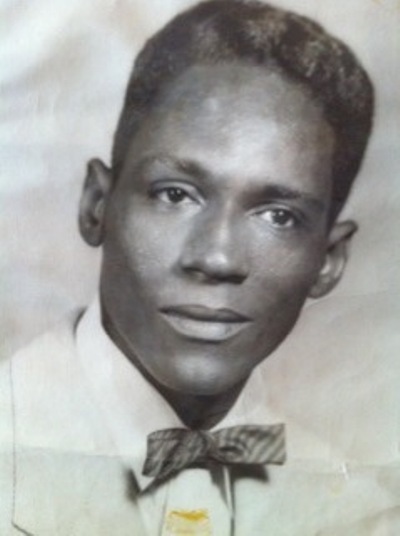 Today, February 12, 2013, would have been the 86th birthday of my father, Rev. James O. Allen Sr., who shares his birthday with our greatest President, Abraham Lincoln, the savior of the Union and the great emancipator. It seems particularly fitting to me today to add my father’s paternal roots to the record I am compiling, as the bloodline flows through Africa, Europe and American chattel slavery. In the 1600’s, there were four notable landings of the Christmas family in Virginia from Europe. Records say the Christmas family name was first found in Austria, then onto Germany, and the Anglo-Saxon Christmas’ hailed from Essex, England (and some also from Sussex and Ireland). The Essex Christmases reportedly held a family seat from ancient times, dating back before the Norman invasion of England by William the Conqueror (Duke of Normandy) in September 1066. Dating back to the late 1700’s, my 4x great grandfather was a “white” slave holder whose last name was Christmas, of Warren County, NC. My 4x great grandmother, Sallie (Christmas) Curtis, was a mulatto slave of his. Great grandma Sallie had at least 5 children, including Christopher “Kit” Christmas, whose father was her master. Kit was my 3x great grandfather. Sallie was married to a man whose last name was Curtis – thus, we share 4x great grandma Sallie with a certain branch of the Curtis family. This was before the American Civil War. Also in 1844, the first electrical telegram was sent via telegraph wire from Washington, DC to Baltimore, MD and James Knox Polk (over Henry Clay) was elected President of the United States, on a platform of annexing Texas into the Union as a slave state. Clay and Lincoln opposed the annexing of Texas for fear of opening up the American West to slavery. Further, in 1844, after working on Clay’s losing presidential campaign, Lincoln started a law practice with William Herndon and bought a home in Springfield, Ill (from where President Barack Obama launched his first presidential campaign. In 1846, Lincoln was elected to Congress by the Whig Party. In 1849, he introduced an amendment to abolish slavery in the District of Columbia and ended his first and only term in the US House of Representatives. By the 1850’s, he was a prominent Illinois lawyer with big clients like the Illinois Central Railroad. He later lost a Senate bid to his rival Stephen A. Douglas, who introduced the Kansas-Nebraska Act of 1854, which allowed settlers in those territories to determine if they would be slave or free and also repealed the Missouri Compromise of 1820, enacted to stop the western spread of slavery (also see Dred Scott v Sandford Supreme Court decision of 1857). Talk about earmarks, the Kansas-Nebraska Act started off as a bill to facilitate development of the Transcontinental Railroad. Around the time of the Civil War, my 3x great grandfather Kit Christmas (who fathered children into his 90’s) and my 3x great grandmother Melinda Powell Alston, of Warrenton, NC, had a daughter Roberta Powell Christmas, my 2x great grandmother. The two toughest first years in office any president may have ever faced were exactly one hundred years apart: Lincoln’s first, in 1861, in deciding to go to war to save the Union, dealing with state’s rights issues and mounting racial tensions; and Kennedy’s, in 1961, when he decided not to go to war with Cuba (the Bay of Pigs), the Cold War–the threat of nuclear war with Russia, state’s rights/Civil Rights issues and mounting racial tensions. It is ironic that they both were assassinated. The Emancipation Proclamation was issued on January 1, 1863. Lincoln was assassinated five days after the Civil War ended on April 14, 1865. By late 1865, the 13th Amendment officially outlawed the institution of slavery. Some four million freed slaves faced the obstacles of the lenient Reconstruction era (1865-1877) policies of Lincoln’s successor, President Andrew Johnson. The Freedman’s Bureau was established by Congress on March 3, 1865 and set up to help freed slaves during Reconstruction. The Congressional Reconstruction Act of 1867 organized the south into 5 military districts—each state had to have a military leader from the north (martial law). They also had to sign on to the 14th Amendment and get rid of the “black codes” that were designed to restrict the activity of freed African Americans and ensure their availability as a labor force, now that slavery had been abolished. On July 28, 1868, the 14th Amendment was ratified. The amendment grants citizenship to “all persons born or naturalized in the United States,” which included former slaves. It was rejected by most Southern states but was ratified by the required three-fourths of the states. In 1869, Ulysses S. Grant assumed the Oval Office, succeeding Johnson. Fast forwarding a bit to President Chester A. Arthur’s administration, the Supreme Court struck down the Civil Rights Act of 1875 in an 1883 decision, about which Arthur expressed his disagreement in a message to Congress, but was unable to persuade Congress to pass any new legislation in its place. Also in 1883, my 2x great grandmother Roberta Powell Christmas (Plummer) and her husband, my 2x grandfather, Henry Plummer of Ridgeway, NC had a daughter, Nannie Roberta Plummer, my great-grandmother. Great grandma Nannie married Walter Wilson, the son of James Jones and Ester Wilson (who later married a Summerville). They had a son, James Walter Wilson, on February 18, 1907. He was my father’s father, who nickname was “Boxhead” commonly shortened to “Box.” They made their home in Norfolk, VA, my birthplace. On President Lincoln’s birthday in 1927, the same day a great Nor’easter blew into Norfolk, VA, a midwife delivered to my grandfather James Walter Jones (age 18) and my grandmother Rosa May Allen (age 16), my father, James Oliver Isaac Allen Sr. By the time he got an official birth certificate—which by the way had the wrong year of birth (1928)—he had dropped “Isaac” from his name. Great grandma Gracie forbad my grandparents to marry. They tell me, she could not stomach my grandfather. 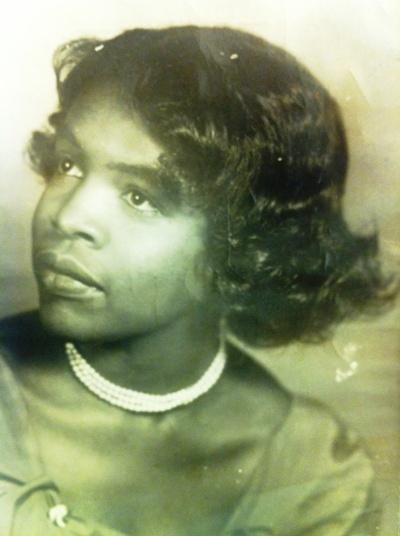 My Grandma Ro later married and had 5 children with Webster Woodley Sr.: Webster II, Susie, Rosa, Lena and Duke. 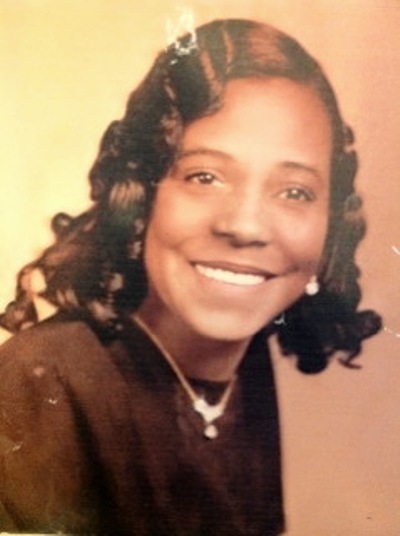 Grandma Ro died a really pointless death at age 48, when I was two or three years old, misdiagnosed as being menopausal, when in fact she had cervical cancer. For a time, my father was inconsolable. 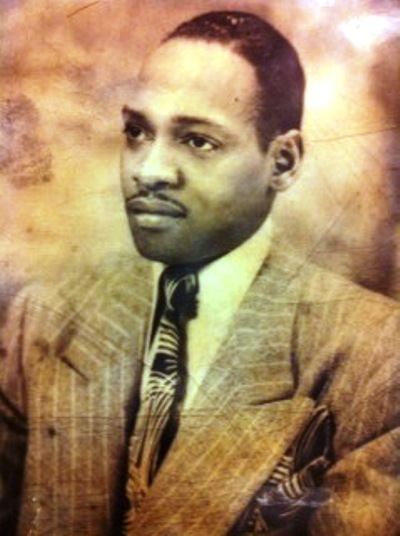 My grandfather, James Walter Jones, known as “Box Head” or “Box,” was a popular clothes model and entertainer in Norfolk, VA, before moving to New York City in the 1930’s, near the end of the Harlem Renaissance. He became was a pimp, a numbers runner for Dutch Schultz and eventual part owner of the nightclub “Sugar Rays,” with boxing champ Sugar Ray Robinson. My dad said Grandpa Box dated Sarah Vaughn near the end of his life. He died, in 1953, in his mid 40’s, under mysterious circumstances in a New York Jail. 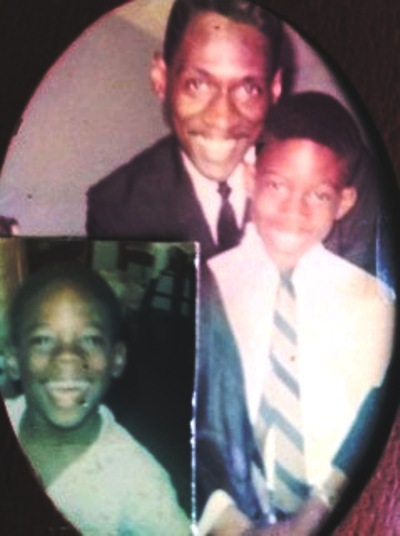 It is interesting that my father James Oliver Allen Sr. (February 12, 1927- June 1, 2001) became a man of the cloth, indeed an itinerate preacher and great pastor for three decades of St. Mark’s RZUA Church in Norfolk, VA, having for a time grown up a bordello. In 1945, between high school and college, while serving as a ship’s steward in the US Coast Guard in WWII, my father was ordered to report for duty in San Francisco, CA. Upon reporting, he discovered the base commander was expecting a “white” James Oliver Allen, in the still-segregated US military, and refused to post him. Until the Coast Guard Brass figured out what to do with my father, he was assigned to work as a courier and clerk for First Lady Eleanor Roosevelt. Mrs. Roosevelt and political scientist and US Diplomat Ralph Bunche were working on the formation of what is now the United Nations – lemonade out of lemons was my father’s way of looking at it. Not bad company for a reject. In 1950, Bunche became the first person of color to win the Nobel Peace Prize, for mediating in Palestine, in the late 1940’s. My parents met as students at Virginia State College, Norfolk Division—now, NorfolkStateUniversity. My parents had two sons, yours truly, James Oliver (Jim) Allen Jr., born on January 18, 1956 and born on September 29, 1961, my brother David Anthony Allen Sr.
My father later attended seminary at VirginiaUnionUniversity in Richmond, at the same time as America’s and Virginia’s first elected African-American governor, L. Douglas Wilder (a one-time US presidential contender). As a prominent radio personality and pioneering radio executive, my dad gave Gospel great Shirley Caesar “a career boost,” interviewed Little Richard and many other celebrities, and served as Master of Ceremonies on programs for the likes of Mahalia Jackson and Earl Bostic. It was at an event he was MC-ing that he reconnected with my mom. Although they met at Virginia State College, they were not a couple there. My father shared a story of hiding Dr. Martin Luther King Jr. from the KKK in a radio station he managed located above a furniture store he managed in Montgomery, AL. He was also program director of WAOK radio in Atlanta. It was an unusual arrangement for the 1950’s for an African American to manage multiple radio stations in multiple markets (including WRAP in Norfolk, VA) for a white-owned company. It’s your birthday today dad, and I sure do miss you. Thank you for creating a path to follow. And as I promised you, shortly before you died, I will look out for mom—Dr. Ruby Cleopatra (Lonesome) Allen (who in 1953 became the first African American music educator in the history of Virginia Beach, VA City Public Schools and later, the first African-American middle school teacher there—and that I would not let our story go untold. My father died on the day their mortgage was paid off. What a guy! I love you, dad. May you, all of our ancestors and President Lincoln, rest in peace! This entry was posted in Politics and tagged 100th Fighter Squadron, 13th Amendment, 14th Amendment, 15th Air Force, 332nd Fighter Group, Abraham Lincoln, Alston Family, Andrew Johnson, Assault at West Point; The Court Martial of Johnson Whittaker, Black History Month, Capt Andrew D. Turner, Chester A. Arthur, Christmas Family, Civil Rights, Civil War, Curtis Family, Doug Wilder, Dr. Ruby L. Allen, Eleanor Roosevelt, Emancipation Proclamation, Henry Clay, James Polk, John F. Kennedy US Coast Guard, Johnson Whittaker, Jones Family, Lonesome family, Plummer Family, Powell familiy, Ralph Bunch, Reconstruction, Rev. James Oliver Allen Sr., Samuel L. Jackson, Skippers' Darlin' III, St. Mark's RZUA Church, Tuskegee Airmen, Ulysses S. Grant, WANT, Wilson family, WOAK, WRAP. Bookmark the permalink. Your blog fascinates me and is SO interesting. Admittedly, I wasn’t able to finish reading all of this but will definitely be coming back to finish. I’m amazed to find out that you actually are related to a white slave owner. Although I’m fairly certain this happened more than anyone realizes (Thomas Jefferson… etc…). Also Abraham Lincoln’s life fascinates me. My daughter lives in Springfield IL and we visit the Lincoln Library, museum and grave when we visit, every time. AND I buy books every time! lol PLENTY of reading material. Have you seen the new Lincoln movie? If not, you should. Also just wanted to tell you that your family is absolutely stunning! They’re all so beautiful, really. I’m guessing you’re the family historian? This was great. Rich with history and information that I have only in the past skimmed. You bring depth and connection to paint a beautiful and personal portrait. I loved it. Thank You. Too kind! Thank you so much for the encouragement! Had New York gone to Clay, he would have finally won the presidency. New York’s votes were taken away by the free soil candidate. Interesting! I did not know that and will to educate myself on the details. Thanks! Thanks and thanks for opening up a whole new world for me– cricket! I enjoyed reading this, I sometimes wonder of God brings two people together, even if it is just for a split second – for one to help the other, or each to help the other. Who knows with the E. Roosevelt, and the Martin Luther King experience he had.